ATLANTA – Delta Air Lines today announced it will expand service to Cancun, Mexico, with new nonstop flights from Nashville International Airport beginning on Dec. 20, 2008. ** The Nashville, Tenn. flight brings to 10 the number of U.S. cities from which Delta serves the popular destination in Mexico’s Riviera Maya. Delta currently serves Cancun from Atlanta; Boston; Cincinnati; Hartford, Conn.; Los Angeles; Orlando, Fla.; Raleigh/Durham, N.C.; Salt Lake City, and Washington, DC. The new flight between Nashville and Cancun is part of Delta’s ongoing international expansion, of which Latin America is a key component. Delta also will start flights between New York-JFK and Buenos Aires, Argentina (Dec. 18)**; New York-JFK and Bonaire (Dec. 20)**; New York-JFK and Bogota, Colombia (Dec. 18)**; and Atlanta and Santiago, Dominican Republic (Dec. 20). With the additional service to Cancun, in December Delta will offer more than 500 weekly nonstop flights to more than 50 destinations across Latin America and the Caribbean. **Service subject to foreign government approval. Departs: Nashville at 10:50 a.m. Arrives: Cancun at 1:56 p.m.
Departs: Cancun at 2:50 p.m. Arrives: Nashville at 6:27 p.m.
Delta Air Lines operates service to more worldwide destinations than any airline with Delta and Delta Connection flights to 312 destinations in 61 countries. Delta has added more international capacity than any major U.S. airline during the last two years and is the leader across the Atlantic with flights to 44 trans-Atlantic markets. To Latin America and the Caribbean, Delta offers 393 weekly flights to 47 destinations. Delta’s marketing alliances also allow customers to earn and redeem SkyMiles on more than 16,000 flights offered by SkyTeam and other partners. Delta is a founding member of SkyTeam, a global airline alliance that provides customers with extensive worldwide destinations, flights and services. Including its SkyTeam and worldwide codeshare partners, Delta offers flights to 500 worldwide destinations in 105 countries. Customers can check in for flights, print boarding passes, check bags and flight status at delta.com. Travel for some itineraries may be provided by Delta Connection carrier Comair. 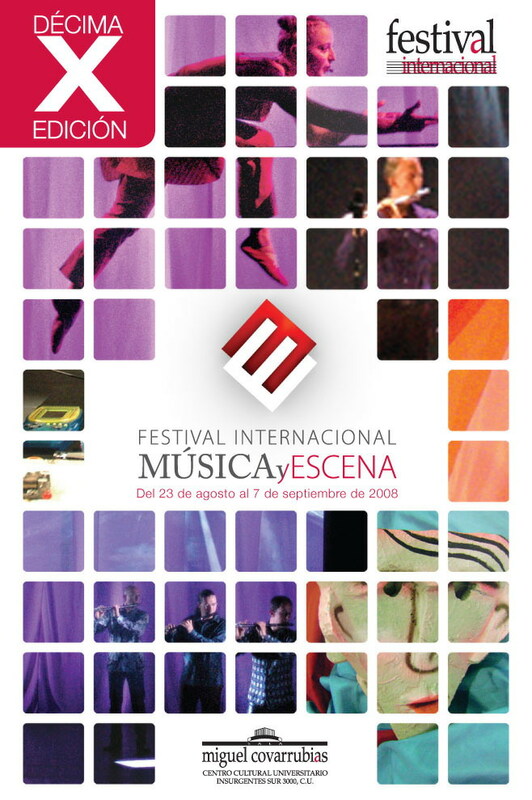 The Festival Internacional Música y Escena, or the International Music and Scene Festival, is celebrating its tenth anniversary. They are celebrating a decade of innovation, a decade of opening spaces for the imagination, and a decade of establishing closer relationships among different artistic disciplines. During these years of inter-disciplinary enjoyment, those attending have been able to witness the best that Mexico has to offer, along with contemporary proposals from around the world. NUEVO VALLARTA, Mexico, — Whole In One Nuevo Vallarta, S.A. de C.V., today announced the development of its first resort project — the 400-unit Taheima Wellness Resort & Spa — is currently under construction in Nuevo Vallarta, Mexico. This USD $150 million luxury condo-hotel project is located in heart of Paradise Village(tm) on the fifth fairway of the El Tigre Golf Course, only 10 miles from Puerto Vallarta International Airport. Taheima Wellness Resort & Spa is scheduled for completion in the spring of 2009. The world-class Wellness Center will provide an exclusive environment dedicated to yoga, stretching, T’ai Chi, spinning, aquarobics, and dance lessons; as well as lectures on languages, cooking, history and public affairs; plus bridge and arts and crafts workshops. In addition, an adjacent outdoor amphitheater will allow guests a natural setting for enjoying lectures, artists, theatrical productions and dance groups. The resort will include Nuevo Vallarta’s largest and most unique spa. More than half of Taheima will be covered in water, with swimming pools and lagoons, sand-bottomed lakes, and canals stretching the full length of the resort. All of the resort’s luxury two-bedroom suites will be equipped with wireless high-speed Internet, luxury furnishings and complete kitchen and dining facilities. Two gourmet restaurants will feature Taheima’s five-star offering of healthy nutrition. The resort will also host visiting chefs for special menus and dining experiences. Nuevo Vallarta is a world-class, seaside paradise that offers sophisticated art galleries and casual restaurants, as well as sandy beaches and premier golf courses. For more information visit online at www.taheima.com. Riviera Baja, Mexico (July 30, 2008) – If surfing, boating, golfing, relaxing, great food and fabulous wine on the Pacific Ocean are qualities you desire in a beachside home or condo, look no further than NAOS (www.naosliving.com) in Mexico’s Riviera Baja. New growth in the Riviera Baja area has garnered excitement from locals and many others throughout the United States and Canada; yet, no building thus far has featured the high-standard of quality and value that discerning buyers demand in today’s market…until now. NAOS will create the area’s most sophisticated beach property for owners to enjoy. The luxurious beachfront project will promote the relaxed West Coast lifestyle that those familiar with the region are accustomed to. Located only 30 minutes away from downtown San Diego in Baja California, Mexico, this ocean-front residence differs from others in the area because of its supreme location, desirable amenities, quality furnishings and “true-value.” Starting from the low USD $300,000s, potential buyers can own quality beachfront property for a fraction of the cost when compared to residential properties in San Diego, Los Angeles and even other Riviera Baja projects. NAOS will offer lavish residential options for those buyers who wish to live, retire or vacation on Riviera Baja’s beautiful beaches and coastline. Designed by renowned architects Moises Ison and Jose Sanchez of the award winning firm, Central de Arquitectura, NAOS promises to be the first of its kind in the Riviera Baja region. This future community will be comprised of 394 residential units split into three high-rise towers specifically designed to create carefree waterfront condo living. NAOS will offer a variety of living spaces including spacious one, two and three bedrooms units, beach and garden houses, and penthouses. The collaboration of Italian inspired kitchens and spa bathrooms, marble flooring, top of the line finishes and fine amenities make for space that is nothing short of luxury living. The units are inspired by modern yet comfortable architecture with a variety of high-end amenities including granite counter tops, gas stoves and top of the line stainless steel appliances. For those who enjoy blissful pampering, residents and guests can escape to the European designed spa which will be operated by a group of therapists from Los Angeles. The community will also feature private beach front cabanas, three pools, four Jacuzzis, tennis courts, a BBQ area, Wi-Fi Internet, fully equipped state-of-the-art fitness center and a specialty restaurant serving Baja Med cuisine. NAOS prioritizes its residents’ enjoyment with a fully stocked two-story library, wine cellar, private multi use rooms and children’s play area. Environmentally friendly green components, such as water recycling and solar powered energy, will also be implemented and geared to improving and conserving the surrounding environment. With the delivery of units beginning in March 2011, NAOS will revitalize the area and create a new trend in making Riviera Baja the new Mexican hotspot for home buyers and retirees. For more information visit www.naosliving.com or please contact Mia Jurica at (619) 307-6717, email mjurica@naosliving.com. Since its introduction in the early part of 2005, the cross-border Mexico mortgage market — mortgage financing for foreigners purchasing vacation, retirement and investment homes in Mexico — has been compared by many realtors and developers to riding a roller coaster. But now, a greater number of those individuals are looking at the cross-border mortgage market to help strengthen the slower real estate market. The recent U.S. downturn, comprised of the U.S. housing bust, housing and corporate credit crunch, high gasoline prices, weaker U.S. dollar, and inflationary pressures, has taken a toll on the cross-border Mexico real estate market. Such effects started to appear as early as last fall and continued to grow throughout the early parts of the summer, with little signs of letting up before the upcoming busy season beginning November 2008. While prices for real estate properties in the resort areas of Mexico have not receded significantly, prices have not appreciated at the high historic levels once seen in years past. Most notably, the overall velocity of sales over this time period has decreased considerably from years prior throughout most of the resort areas of Mexico, including Los Cabos, Puerto Vallarta and Cancun/Riviera Maya region. Local developers, realtors and buyers who have typically shunned cross-border Mexico mortgage financing in the past are now beginning to embrace it. Several reasons have forced these groups to take a second look. From the realtor and developer side, financing options are one of the few tactics which help bolster sales in a slower market without sacrificing profitability. This could not have been more apparent in the U.S. real estate boom over the last decade and, as in the U.S., the availability of mortgage financing should translate into more sales in Mexico. The main reason for this is a simple finance principle; leverage provides buyers with greater purchasing power and greater returns. With sales volume still depressed as the busy season approaches, realtors and developers are looking to push financing options as a tactic to increase sales. After all, pushing financing is far better for their bottom line than other popular tactics such as offering developer incentive or lowering prices. From the buyer’s perspective, the attractiveness of mortgage financing goes even deeper. The recent U.S. downturn and uncertainty from the upcoming U.S. presidential election have drastically eroded U.S. consumer confidence, making U.S. buyers more cautious. Intuition would suggest that a more cautious buyer prefers to lever up larger purchases in order to hold cash and maximize liquidity in the unlikely event it is needed. Further, the U.S. home equity line, which historically has been tapped by the cross-border Mexico real estate buyer, has become more difficult and expensive to obtain. And rising interest rates on U.S. mortgages in addition to the elimination of certain types of loan documentation in the U.S. (stated and Alt-A) have made cross-border Mexico mortgage financing look more attractive than in years prior. Lastly, many potential buyers who have put large deposits on a Mexico property or have been seeking a Mexico property for some time are becoming more stretched financially due to underperforming investments and lower household income, all effects of the U.S. downturn. Often these buyers need additional help to secure their retirement, vacation, or investment property in Mexico and are likely to now turn towards a Mexico mortgage loan. All these scenarios have translated into U.S. buyers looking more favorably at cross-border Mexico mortgage financing. Demand stemming from the changing U.S. economic climate is not the only reason for buyers and industry players to recently turn to Mexico mortgage loans for their Mexico real estate purchases. Once plagued with negative media attention as the result of (i) numerous Americans and Canadians losing their real estate properties in the late 90’s, (ii) misconceptions regarding whether foreigners are legally allowed to own property (they can – see inset), and (iii) the fallout out of a couple cross-border Mexico lenders as well as the inability for some lenders and mortgage brokers to effectively close loans, the cross border Mexico mortgage loan market is finally seeing significant changes that have been ignited by greater demand. Several positive changes have already been executed and continue to be underway in the cross-border Mexico mortgage industry. A broader array of financing options is now available, thanks to new lenders entering the market, including Deutsche Bank and Lehman Brothers. Additionally, mortgage brokers such as ConfiCasa Mortgage International (www.conficasamortgage.com) have implemented smoother loan processes with better communication, greater transparency and faster closing timelines. A smoother process has resulted from several years of experience for the earliest entrants like ConfiCasa, who continue to focus on implementing ways to create a financing process that more closely mirrors that of the U.S. and Canada. With so many more heads turning towards cross-border Mexico mortgage financing, the industry is finally looking to shed its roller-coaster like past and seem more like a smooth and predictable merry-go-round. And that is becoming a silver lining for everyone! Many Americans and Canadians have a common misconception that it is illegal for foreigners to own property in Mexico because of article 27.1 of the Mexican constitution, which prohibits foreigners from acquiring direct ownership of lands or waters within a zone of approximately 66 miles from a foreign border or approximately 33 miles form a coast, known as the “restricted zone”. However, in 1993, Mexico adopted the Foreign Investment Law (FIL), which amends article 27.1, allowing foreigners to own residential property in the “restricted zone” exclusively through a “Fideicomiso”. A Fideicomiso, (which continues to be one of the most commonly misunderstood legal instruments in residential real estate), is a trust agreement where a bank serves as a trustee, and has a fiduciary obligation to the buyer, or “beneficiary”. The beneficiary of the trust (the buyer) retains and enjoys full rights of ownership of the property, including the right to use, mortgage, lease, modify, and sell the property as desired. Despite the beneficiary of the trust having the same absolute rights as if owned directly (fee simple) in the United States and Canada, the indirect ownership (trust) structure, renewable every 50 years, naturally confuses most buyers and unfortunately results in the common misconception that foreigners are prohibited from owning a piece of the Mexican dream. Matthew Miller is the President and CEO of Conficasa Mortgage International, LLC a cross-border Mexico mortgage company specializing in financing Mexican properties for Americans and Canadians. You can contact him at mmiller@conficasamortgage.com or through the Company’s website at www.conficasamortgage.com.